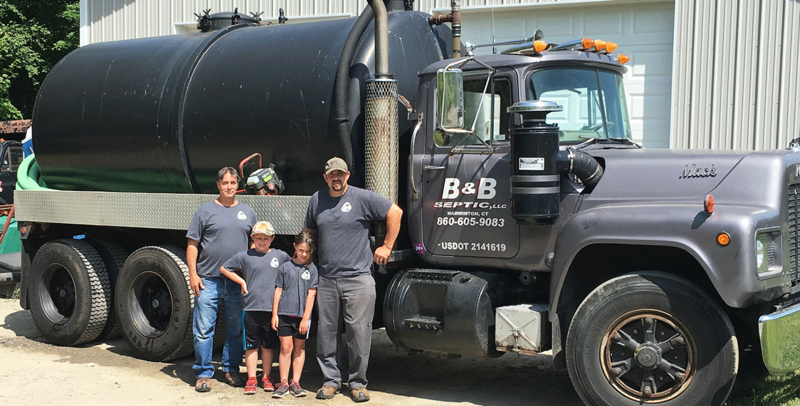 B&B Septic LLC is family owned and operated by the father and son team of Mike Bosco Jr. and Mike Bosco Sr. Customer satisfaction is as important to us as a working septic system is to you. On top of our great customer satisfaction, we pride ourselves on using the most up-to-date equipment including a pipe camera and locator to find exactly where your septic is, quickly and cleanly. We also have superior knowledge of many septic systems both old and new. Once we diagnose a problem, we take the time to explain the issue thoroughly and clearly so that you understand the problem and what steps we will take to fix it.